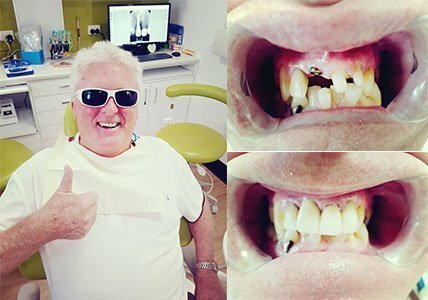 Are you a resident of Bribie Island with missing teeth that you want to replace? Have you considered getting dental implants? At Prevent Dental Suite, we believe that your smile should last a lifetime and dental implants are a great way to get that accomplished. Hundreds of different types of dental implants are produced by many different manufacturers around the world. 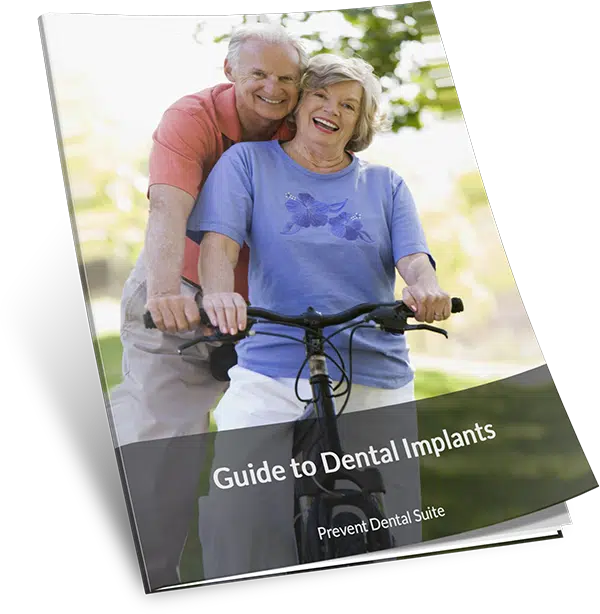 Implants are generally screw-shaped, various sizes and lengths, and made of titanium because it is biocompatible with the bone and bone will grow on it. They are screw-shaped so that they can be inserted into the bone and will be stable when they’re placed. The surface of the implant is treated in such a way that it attracts the cells from the bone. This not only encourages early healing but also helps maintain the bone over a long period. There are also multiple methods of connecting the teeth to the implant. These connection designs must be stable over a long period as they will be subjected to repeated stress. So, an implant is effectively a way of attaching a mechanical joint in a biological environment. As long as the materials used are of high quality and the execution of the treatment is of a high standard, implants can last for many years. Which design, doesn’t matter so much as how the implant design is used. And over time, at Prevent Dental Suite, we have come to know what works; we know what design features work, what materials work, what connection designs work. If you have missing or damaged teeth, you have to consider many factors in deciding the treatment option you should get. 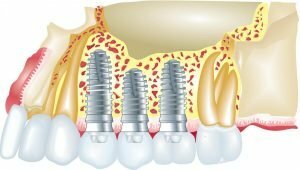 Dental implants restore and improve your biting and chewing capacity. They work like your natural teeth, allowing you to eat your favourite food and get back to your regular activities without hassle. They replace missing tooth/teeth by filling the gap left, improving your self-esteem. The dental implants give a person the most natural looking replacement for teeth that have been lost. With proper adjustments, they can match the colour of the natural teeth. Dental implants are extremely durable and with good oral hygiene, can last a long time. They effectively restore the balance of pressure in the mouth, hence supporting natural face structure and preventing an irregular bite. Dental implants prevent bone loss. The jaw bone beneath the space left by a missing tooth deteriorates. Dental implants provide the needed stimulation for natural bone growth. Dentures can even speed up bone loss as they often become unsecured and then rub against the jaw’s bony ridge, gradually wearing it away. Dental implants acquired from Prevent Dental Suite in Bribie Island are guaranteed safe, high quality, and affordable. Dental implantation follows a thorough procedure to ensure your safety and comfort. The methods used during an implantation are listed below. Your dentist will inspect your jaw as preparation for the implant by visual examination and X-rays. Having healthy gums and jawbone helps ensure the success of the implants. The metal posts are then surgically inserted into your jawbone. Temporary crowns are placed to cover the implants from foreign material. The temporary crowns are removed. The permanent dental crowns will be attached and fixed into place once the implants are properly fused to the jaw. Dental crowns at Prevent Dental Suite are custom-fitted to ensure perfect fit and stability. Take care of your dental implants just as you take care of your natural teeth. Although they are made from durable material, they still wear out when not looked after properly. It is important to take care of the gum tissues and surrounding bones. Brush your teeth using soft-bristled brushes for 2 minutes. Make sure to remove all food debris between teeth and on the gums. Use dental floss. There are flosses that are made especially for dental implants. With proper use, they ensure the protection of the surrounding tissues. Use protective devices like night guards and retainers. Night guards protect your teeth from breakage due to grinding. They also help decrease the grinding of your teeth. Retainers help to prevent open contacts from developing. With proper dental care, your implants will last a long time. Our goal is to provide quality dental implants without breaking the bank. At Prevent Dental Suite, we make sure that losing your tooth is not as inconvenient and as costly as you think. You don’t have to pay much for the convenience of having a complete set of teeth. We offer affordable dental restorations for the residents of Bribie Island. Get your dental implants today! At Prevent Dental Suite, our goal is to make quality dental care affordable. We encourage you to take advantage of this offer for Bribie Island residents. 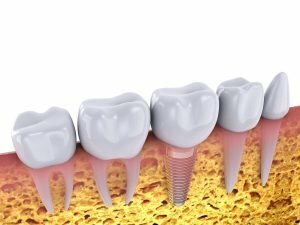 Affordable Dental Implants in Bribie Island: Single tooth dental implants at affordable price – implant and fixtures for $2000 and crown for only $1500.